Miller Manufacturing Company is a market-leading manufacturer, distributor and marketer of farm, ranch, and pet products which are sold under the brand names of Little Giant®, Hot-Shot®, Springer Magrath®, Double-Tuf®, Pet Lodge™, and API®. At the core of Miller’s values is our commitment to American manufacturing, with most of our products designed, manufactured, and distributed here in the United States. 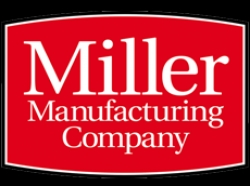 Miller Manufacturing started as a family-owned business in 1941 and today is owned and operated by Frandsen Corporation of North Branch, MN. Miller Manufacturing’s catalog features over 1,000 products which are sold through a large network of farm and animal health supply distributors in the United States and over 30 countries around the world. Miller has remained focused on its core channel in the farm and ranch market since 1941 while continuing to provide innovative products alongside time-tested solutions to a broad range of customers. As a one-stop shop for companies looking for a full breadth of product for the farm and ranch consumer, Miller continues to manufacture quality, cost-competitive products to our customers.